Sixty-six years after the takeover of the U.S. Government in 2069 by religious fundamentalists, the nation suffers under the rule of a brutal and repressive theocracy and the Planet Earth teeters on the brink of environmental collapse. 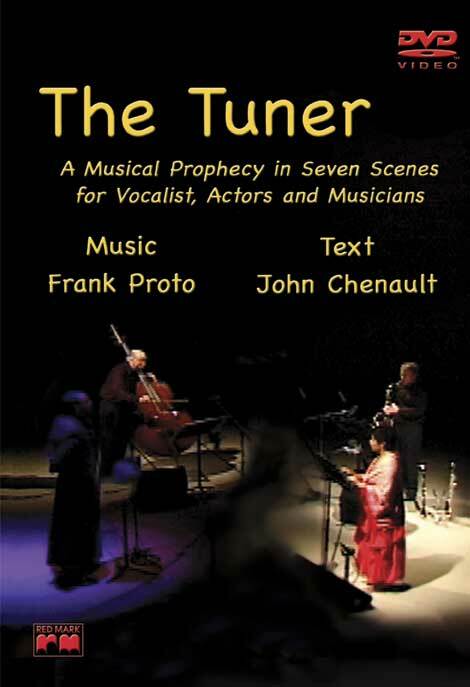 The ruling theocratic regime know as the Ministerium, having nearly suppressed or eliminated all opposition, finds itself confronted by a stalwart group of musicians led by a composer named John Maestro, aka Maestro Jones. Maestro and his compatriots launch a radical plan to use music to tap into the Earth’s magnetic field and reposition the Earth’s alignment on its axis. By means of this ingenious scheme, the insurgents seek to initiate a mini-ice age that will reverse the cataclysmic effects of global warming, and, as an added benefit, destabilize the Ministerium to pave the way for its eventual overthrow. The story takes place between years 2135-2138. The new Theatre Piece features the unique talents of vocalist Carmen Balthrop, actor Reginald Willis and saxophonist/clarinetist Rick VanMatre. 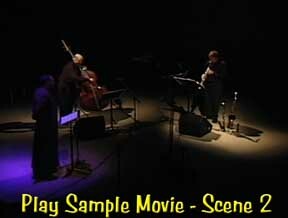 They are joined by composer/bassist Frank Proto in a live recording of the World Premiere performance, directed by Charles Holmond and presented by the International Society of Bassists at its June, 2005 Convention at Western Michigan University.